Do you wish you had more bargaining savvy when the cards are laid on the table and the going gets tough? While some people may be born negotiators who relish the entire process and love wheeling and dealing, others experience anxiety and stress at the bargaining table. Whether you're negotiating a major deal for new office equipment, choosing a print shop that can get your job done within your budget and time constraints, or hammering out new terms of a contract with one of your long-term suppliers, it is possible to get it all done more easily, swiftly and efficiently. Are you intimidated by the idea of having to bargain and negotiate with vendors and suppliers? Do you ever find yourself backing down, giving in, or settling for less than what you deserve, simply to avoid the confrontation? This webinar is for you! 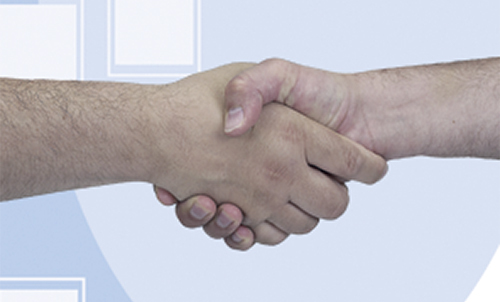 Dealing with vendors and suppliers can be a tricky and touchy subject. It is especially difficult to negotiate agreements that allow everyone (especially you!) to walk away satisfied. However, these opportunities are extremely important in allowing you to get lower prices, quicker delivery, higher quality, and better service for your organization. Can you identify with these statements? I dread the haggling and mind games that go hand in hand with negotiating. I have the basics of bargaining, but could use some tips on the finer points of negotiation. I feel like I often get "the short end of the stick" in negotiations but am not sure why. I walk away from negotiations often thinking about all the things I should have said. I have trouble thinking and reacting quickly under pressure when bargaining with someone. Sometimes, I tend to give in to avoid possible conflicts. If you can identify with even one of the statements above, then this program is for you! During this power-packed 1-hour workshop, you will learn how to develop the skills and tools it takes to become a negotiator to reckon with. You'll be amazed at how effective your new negotiation techniques are and how easily you get the deals and terms that you are looking for. Don't spend another day struggling to mentally ready yourself for conversations with vendors and suppliers. Get the tips, techniques, and strategies you need to become a better negotiator. Never back down from a deal or sacrifice quality of service again! This course is packed with up-to-date information, advice, and suggestions to give you more bargaining power than you've ever wielded before. You'll be amazed at how effective your new techniques are, as you get more of the deals and terms you want! Enroll in class today! Tips for moving the conversation forward when the seller says, "That's my best offer … take it or leave it!" What to do to ensure both sides leave the bargaining table happy — yes, you can make it happen! Purchasing managers, office managers, buyers, contractors, contract administrators, managers and supervisors and anyone else looking to increase their knowledge and confidence about bargaining and negotiating for their organization.